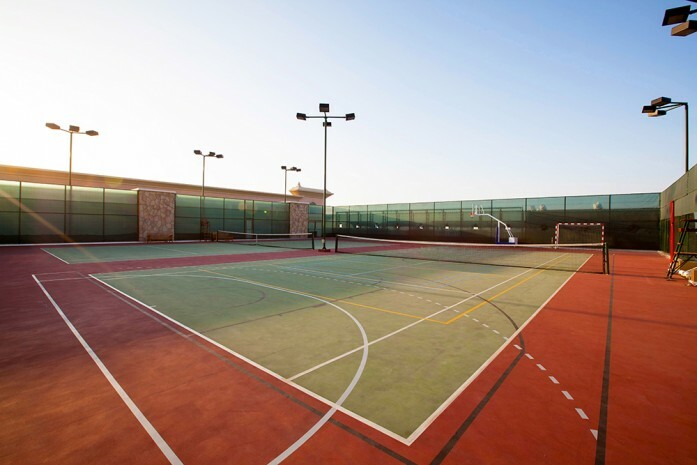 Stay active and have fun on our multipurpose courts, located on the rooftop of SoFIT gym. Gather a friend or three for a friendly game of tennis, or take advantage of the tennis ball machine to sharpen your forehand and backhand. If you need expert advice, we have a tennis coach on call to help perfect your skills. These versatile spaces can also transform into courts for basketball, handball, volleyball, badminton or football. With plenty of lighting, you and your team can play late into the night. Dubai residents are also welcome to rent these facilities for a few hours or a full day throughout the week.